On the last day of our work cycle we had some unusual sightings. 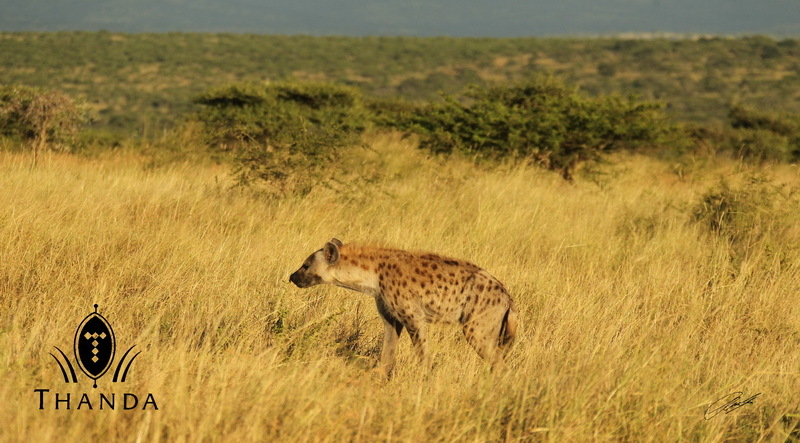 The Thanda guests on today’s morning game drive enjoyed a Spotted Hyena crossing the savanna in full daylight (a very rare occurrence). … we ended the game drive with an unusual view of the Elephant herd on the side of a hill, on which we cannot drive with our vehicles. We also saw Cheetahs, a White Rhino, Giraffes and a Yellow-billed Kite on the same drive. A great morning! After a very long work cycle (26 instead of 21 days) I will now be off for eight days before I leave for another “Trails Guiding Contact Session Course” with African Nature Training – ANT (www.africanaturetraining.co.za) in the Sabi Sands. 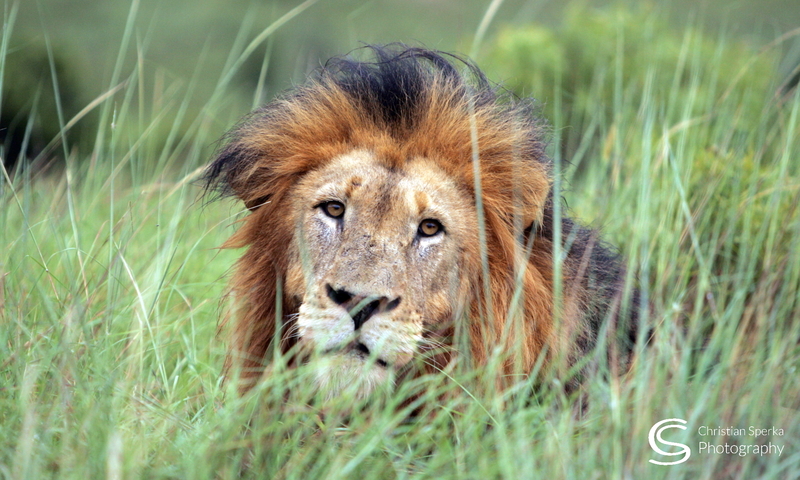 I will return to Thanda on 24 March. I certainly see why it would be best to come to Thanda to take photos and see wildlife in a season when the vegetation isn’t so thick. 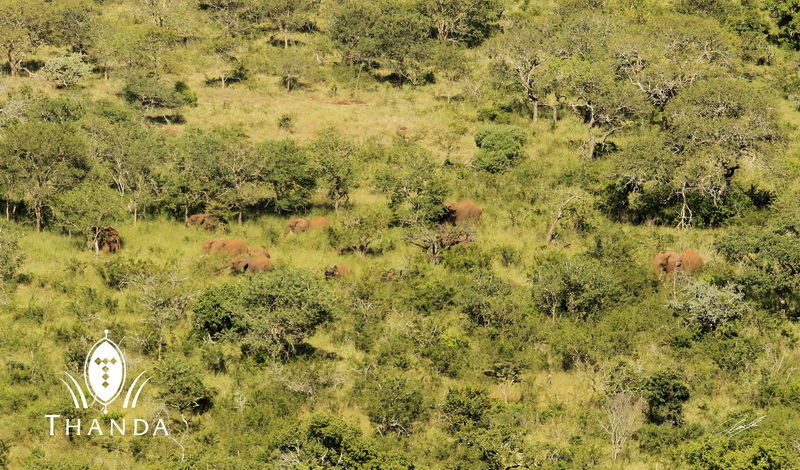 The Elephants looked dwarfed on the hill side. 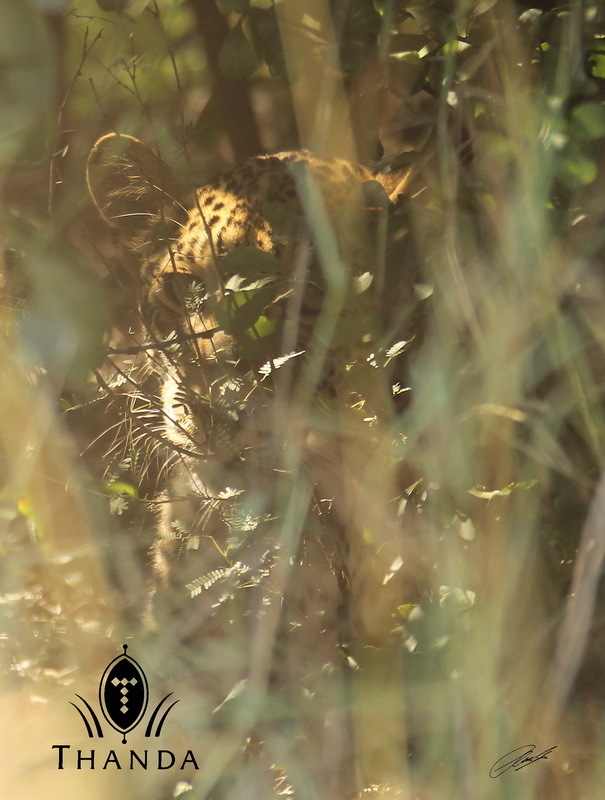 Good job capturing the young leopard too, looks like thick bush indeed! Enjoy your time off . Have a safe trip to your training course. Great pics. Love the Leopard one. Have a Great One!! Whoever spotted that leopard has good eyes. It really blends into that habitat. Enjoy your time off and ANT. Be safe! Previous PostPrevious Not your best day!